Since garnering more mainstream attention, the rise of Bitcoin has been debated openly by government officials, financial institutions, and mass media outlets. A segment on Bitcoin was even recently broadcast to millions of viewers on the popular The Ellen DeGeneres Show. While Bitcoin remains the undisputed bellwether for digital currencies, it’s also fair to say that the entire crypto landscape has been changing dramatically over the last year. 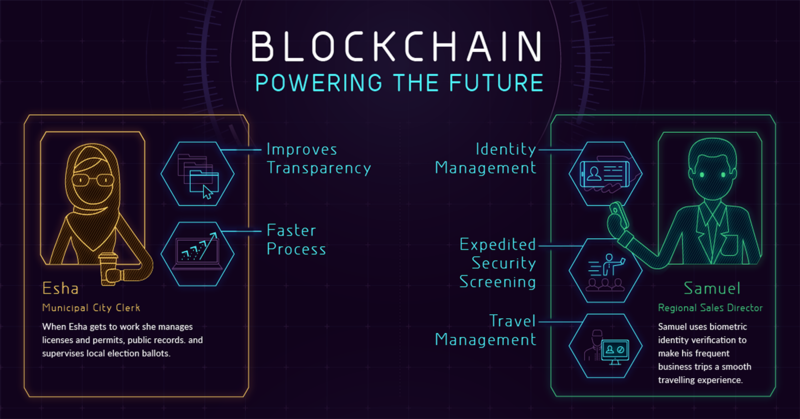 New coin and token offerings have raised billions of dollars, innovative ideas are capturing the attention of investors, and there are now 20+ cryptocurrencies that have at least $1B in market capitalization. Bitcoin may be in the public spotlight, but there’s a lot happening behind the scenes. 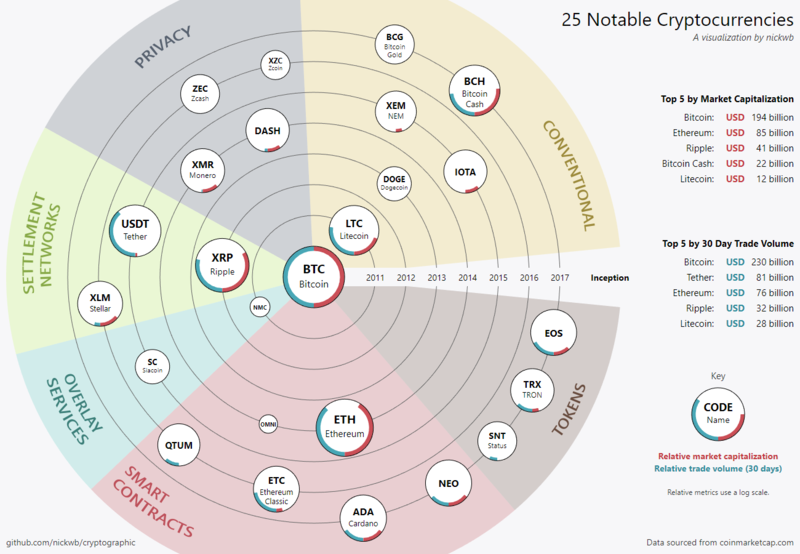 Today’s visualization comes to us from Nick Young, and it shows the 25 most notable cryptocurrencies on the market using data from March 5, 2018. In the graphic, the 25 cryptocurrencies are organized by market capitalization, inception date, 30-day trade volume, and also the type of function that each coin or token has. It’s also worth noting that relative comparisons are done on a log scale for easier viewing. Note: Cryptocurrencies are volatile and have large swings in value, so these numbers can change quickly. Bitcoin’s journey to $10,000 in late 2017 caught the attention of many people in the media and investing world, catapulting the currency into the mainstream. At the same time, however, it’s also clear that the rest of the cryptocurrency landscape is flourishing as a strong supporting cast, making for a more diverse, interesting, and efficient ecosystem overall. Exactly a year ago, Bitcoin made up over 80% of the market capitalization of the cryptocurrency space. Today, with many altcoins gaining traction (and the Bitcoin hard forks taking place), the share held by Bitcoin is closer to 42%.